To understand John Brown is to understand his background. The events for which he is most known, the guerilla warfare in Kansas and the raid on the federal armory in Virginia, occurred when John Brown was in his late fifties. For most of his life, John Brown was a simple man, a farmer, a shepherd, and a trader. However, he was, first and foremost, an abolitionist. This section will demonstrate how this simple man became nation’s most important anti-slavery warrior. From a young age, the hatred of slavery was deeply rooted in his soul. 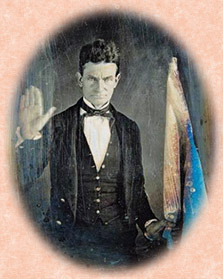 The image of such injustice haunted John Brown for the rest of his life. Despite the dangers of repercussion, John Brown became a busy stationmaster in the Ohio branch of the Underground Railroad, hiding runaway slaves in his barn and transporting them farther north towards freedom. In the letter, John Brown points out that teaching blacks would effect slavery “like firing powder confined in rock” because it would shake the institution to its foundation, as evident in the example of former slave and famous abolitionist Frederick Douglass. No longer did John Brown act in secrecy. He started to think about more practical ways of helping the liberation of slaves. If the murder of Lovejoy pushed many abolitionists towards pacifism and non-resistance, Brown became more militant after that incident. John Brown believed that slavery could be driven out of the United States using simple economics. He planned to pick a small band of soldiers and establish a base, a colony from which he would make raids into the plantations to free slaves. John Brown passionately proclaimed that slavery was a “state of war” and that blacks have every right to “fight for their freedom,” but it didn’t convince Douglass to change his pacifist views. 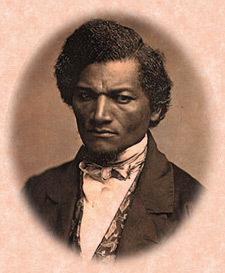 Although Frederick Douglass did not agree with Brown’s plan, he was impressed by the anti-slavery passion of John Brown. This meeting helped Brown define and modify the plan more thoroughly. John Brown firmly believed that in order to “have self respect, or be respected,” one must fight for their freedom. 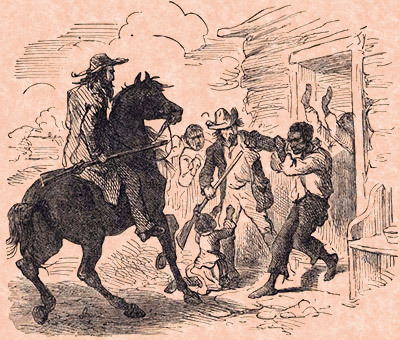 He declared that the members of the group must arm themselves and study their weapons, and attack the slave-catchers as a group, and other measures to ensure that none of the blacks would be captured by the proslavery forces. Many of the advices that he gave to Gileadites, such as acting fast, quiet, and efficiently, were implemented by him in later struggle. John Brown always viewed his business endeavors as a way to accumulate wealth that he could use for the cause of his life, abolition of slavery. However when he failed many times in the commercial world, his attention was drawn towards the lands in North Elba, New York that the rich abolitionist Gerrit Smith was giving away to blacks so they could establish their own settlement and own property. 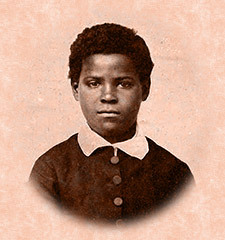 Brown welcomed the gesture and offered to settle there to live with those “poor despised Africans” and help in the rural environment to blacks who were mostly city-dwellers. And the duty called. When the controversial Kansas–Nebraska Act was passed in 1854, many settlers from both North and South poured into Kansas Territory to determine the fate of the slavery and simply to start a new life. Among these settlers were three of John Brown’s sons. Even though they asked their father to join them, he at first backed off by saying that he was “commited to operate in another field.” Some historians think this may be the first reference to Harpers Ferry plan, however others say it is simply his commitment to black settlers in North Elba. 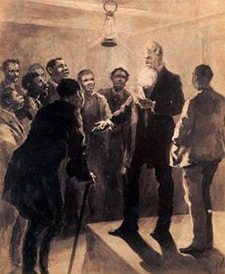 After consulting with his family members, abolitionist and black friends, John Brown finally decides to go to Kansas “as more likely to benefit the colored people on the whole” than staying in North Elba. This decision was fateful not only for Brown himself, but for the whole nation. 1 Ruchames, Louis. John Brown: the Making of a Revolutionary (New York: Grosset’s Universal Library, 1969), 46. 2 Villard, Oswald Garrison. John Brown 1800-1859: A Biography Fifty Years After (New York : Houghton Mifflin Company, 1910), 18. 3 Ruchames, Louis. John Brown: the Making of a Revolutionary (New York: Grosset’s Universal Library, 1969), 50-51. 4 Ruchames, Louis. John Brown: the Making of a Revolutionary (New York: Grosset’s Universal Library, 1969), 189. 5 Ruchames, Louis. John Brown: the Making of a Revolutionary (New York: Grosset’s Universal Library, 1969), 294. 6 Ruchames, Louis. John Brown: the Making of a Revolutionary (New York: Grosset’s Universal Library, 1969), 84-85. 7 Sanborn, Franklin Benjamin. The life and letters of John Brown: liberator of Kansas, and martyr of Virginia (Boston: Roberts Brothers, 1885), 76.